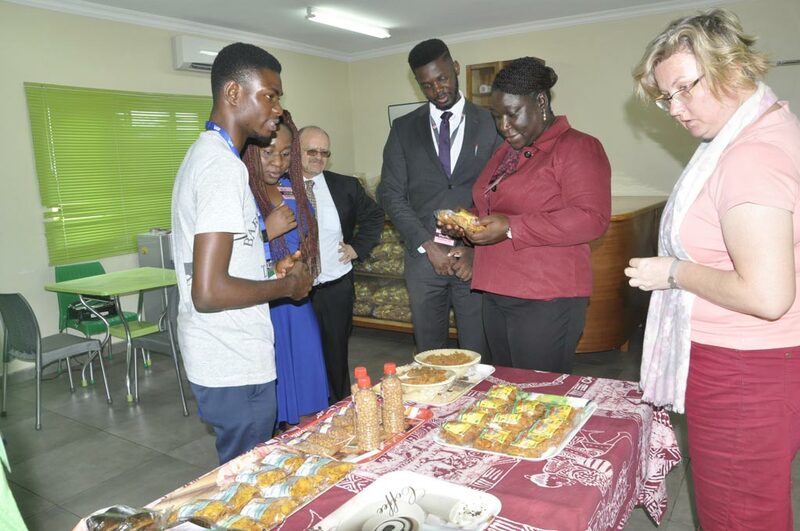 On 19 May, a delegation of three from the Tony Elumelu Foundation came to IITA-Ibadan to discuss ways of working together to empower African youths through agribusiness. The delegation comprised Abimbola Adebakin, Chief Operating Officer; Onajite Emerhor, Research and Administration analyst; and Folarin Aiyegbusi, IT specialist. Discussing with IITA management, the delegation looked at areas for collaboration. 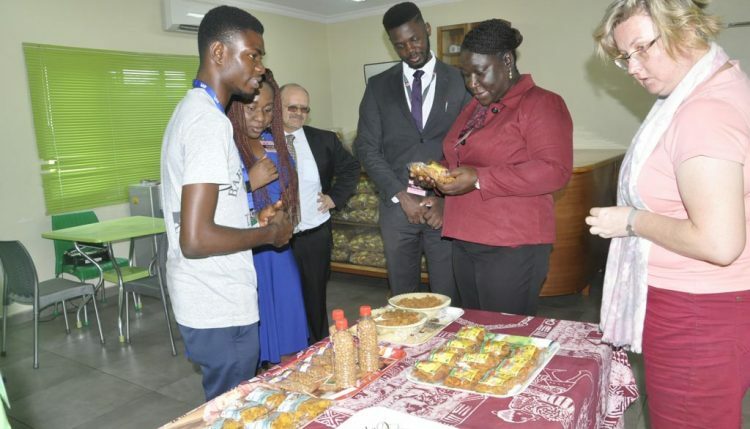 With a program that trains and mentors entrepreneurs all over Africa, the Foundation expressed strong interest in establishing a system where their entrepreneurs would benefit from IITA’s technical knowledge in agriculture. A large number of their entrepreneurs are young and engage in agriculture. Over the next 10 years, the Tony Elumelu Foundation, under its Entrepreneurship Program (TEEP), will be supporting 10,000 African entrepreneurs with training, coaching, and start-up funding. Such collaboration could see IITA play a significant role mentoring and providing agricultural technical know-how to numerous youths across Africa. The Tony Elumelu Foundation team was welcomed by IITA’s Kenton Dashiell, Deputy Director General for Partnerships and Capacity Development; Kristina Roing de Nowina, Proposal Development Coordinator; Frederick Schreurs, Chief Executive Officer of the Business Incubation Platform (BIP); and Evelyn Ohanwusi, Head of Partnership and Marketing of the IITA Youth Agripreneurs. The visitors went on a tour of IITA’s BIP and its businesses, where among other activities they interacted with IITA Youth Agripreneurs (IYA).